You can purchase Rail passes for state or regionally travel. Railway systems have their own railway passes, but a lot allow traveling on multiple railway systems. Australia has a rich history and culture with a delightful blend of Western, Eastern and Aboriginal influences. Each of these significant influences comes together to deliver a celebrated diversity and distinctive way of life. Prices and availability of housing will depend on the type of accommodation you seek. For example, a lot of the more expensive types of housing are popular and you will have to book them far in advance. Your premier resource for education in Australia. Designed for students who wish to study in Australia, Australia.edu has worked hard since its launch in 1998 to establish connections with the best universities, institutes, and English language centers and provide comprehensive support for international students. From selecting the right school to setting up convenient travel accommodations, Australia.edu has everything students might need to know about education in Australia. It may be surprising for some prospective study abroad candidates to know that Australia is becoming one of the most popular countries in the world for international students. Education in Australia has been flourishing in recent years, with respected institutions that feature cutting edge curriculum and high quality teachers. International students can choose from hundreds colleges and universities, selecting programs ranging from short-term English language instruction, to in depth doctorate level work. These top of the line institutions come in all sizes and locations, making it easy for students to find a school that is just the right fit for their personal aims and interests. 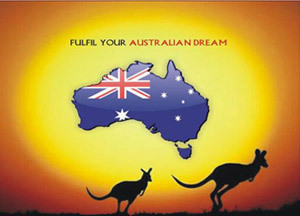 An education in Australia is sure to serve students well in any field, no matter what their future career goals may be. To help make the decision a little easier, Australia.edu has an extensive overview of universities, institutes, and English language centers. To see the list and enquire for more information on specific schools and programs, check out our study section at Study in Australia. The power of an education in Australia does not end there. To the contrary, international students in Australia can expect a plethora of other educational perks. Students who study in Australia will receive an affordable education with competitive tuition prices and numerous financial aid possibilities. In addition to this, students have fantastic housing options and meaningful classroom experiences to look forward to. To know more about what life might be like as an international student in Australia, there is a helpful assortment of facts and resources available at Australia.edu. From practical guides on visa application and health care coverage to details on Australia's colourful history, students can get a glimpse at what they have to look forward to by following this link: International Education in Australia. One of the most popular areas for international students who study in Australia is English language instruction. With Australia's proximity to southern Asia, the universities in Australia have worked to cater to the need for quality English instruction, offering a full range of English programs that are readily accessible to students at any time. This premier education is guaranteed by a revolutionary system of quality control known as the English Language Intensive Courses for Overseas Students, which standardises most English language instruction in many universities around the country. For students who may still not be convinced, Australia.edu has a compelling collection of tips and guidelines regarding English language instruction for easy perusal: Study English in Australia. In addition to the thriving English language instruction in Australia, many students also choose to pursue an MBA. Increasing numbers of Australian universities are being recognised worldwide for their innovative business programs and coursework. Students who study in Australia can expect unique perks while attaining an MBA, since many of the universities have connections with businesses in Australia and the booming Asian markets. This makes a business education in Australia especially lucrative for prospective international students. For specific details on what programs are available and what students think of them, be sure to check out the inside scoop here: MBA in Australia. An Australian education is more than coursework and studying. Students who study in this magnificent country can expect meaningful experiences in and out of the classroom. Student life in Australia has much to offer international students, including distinctive cultural scenes and plentiful campus opportunities. From finding the right student housing to navigating during downtime, students need to prepare for the student experience holistically, since an education in Australia can enrich students in a way that makes them not only better students, but better people overall. This is just the tip of the iceberg; for a more in depth look at what Australian student life can be like, check out this link and see everything there is to look forward to: Student Life in Australia. The Australian study abroad experience can even extend off campus. Students who pursue an education in Australia should also work travel plans into their schedule during their time as an international student. The Australian landscape is distinctive and inspiring, enticing students with unparalleled natural wonders and booming metropolises. With travel destinations in all regions of the country, students who study abroad in Australia have numerous options to choose from, making it possible for students with all interests to find just the right travel experience during their time in the country. Students can start dreaming about the possibilities here: Travel to Australia. With these convenient and informative resources, students from around the world can use Australia.edu to make their study abroad dreams come true!